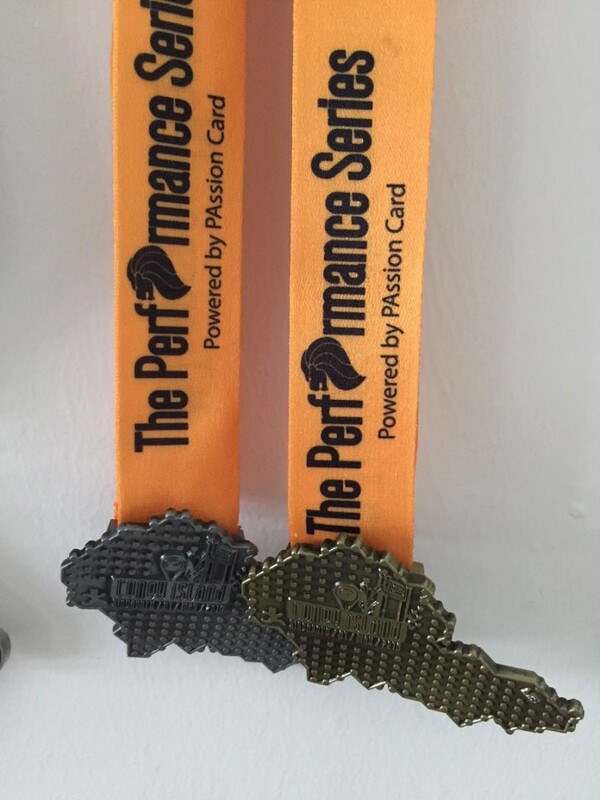 Race Review: The Performance Series 1 – Oasis/Island [10km] (by iamspartan6318) | JustRunLah! Third to cross the finishing line! Yes, you heard that right. I was right behind a couple when I walked through the finishing line. This has got to be my best performance ever! So how can an amateur who started running less than a year ago do that? You can actually, provided you haven’t gone to the start point in the first place! So how did I end up there? It was one of those days where I decided to try to park at a location near the race against my missus wishes. By the time we reached there around 7am, all the carparks at Safra and the nearby carpark were full. There were so many cars parked along the double yellow lines, it would have been a field day for the traffic police. We didn’t see the point in risking a fine so we had no choice but to park at one of the HDB blocks much further away. When I mean much, it was like an almost ridiculous 2km. By the time I have gotten to Safra Punggol, the first wave was already gone and the 2nd wave was lining up and ready to go. Folks At The 2nd Wave. Wait For Me! Since the start point was across the waterway on the other side, the only way for me to reach there to there was to cross a bridge that was right in front of me. I happily followed this couple in front of me who was also making their way there. What we didn’t realised was that the finishing point was also right in front. By the time I knew what was happening, I heard the beeping sound generated when the racetime shoe tag went past the sensors on the floor. Oops. No wonder the volunteers stationed there gave us a strange look. The organisers quickly responded and promptly got the incoming runners for the 2nd wave to make a detour up the slope to cross the waterway bridge. Sorry about that guys! Due to the massive number of runners, I couldn’t even see the start point from where I was. I started my running app early and realised that it took an entire 5 minutes for me to reach the actual start point. Since I was starting from the rear, it was not an easy race to run. You need to constantly weave in and out of runners. Not to mention those who will suddenly stop in their tracks without notice. These sudden changes will throw your running momentum off track and will demand more of your body as it tries to adapt to the every changing scenario. What’s interesting in this race is that the back of your race t-shirt can be customised to fill in a short sentence. I saw a few which are quite epic. You have one guy with the words “running after chick” while his female partner was donning one that says “running chick”. Other memorable ones included words like “WTH is the end point?” and “#runningmama”. It is always things like these that make running events memorable. To keep logistical solutions simple and cater to a wider range of participants with a varying distance of 2.5 km to 10km. 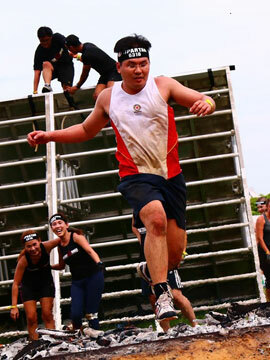 I believe the organisers decided to hold the start and end point at Safra Punggol. This also means my wife will not go back to Coney Island again and the run for her will not be as scenic as her previous 5km. For me, it was time to go monkey/cow spotting. Unfortunately or fortunately, I didn’t manage to spot any monkeys or the lonely cow. However, I did spot a primary school looking kid taking part in the 10km. Nice job kid! He was even faster than me! It was during this time when some male runners disappeared into the bushes for a while before returning. Most likely trying to keep Coney Island fertile. Once we were back on the mainland, we spotted some old folks hiking in the area. I found that to be very strange so I checked the map and realised that there is a wetland park nearby. Definitely something to explore in the near future with the kids. Before long, we were back on the waterway to the end point. During this time, I spotted some runners with very dry t-shirts. That’s when we started merging with the 5km/2.5km runners and traffic started to build up again. Crossing The End Point For A 2nd Time! By the time I reached the end point, my wife had already completed her race. Her ex-colleagues who had joined her earlier had already left. We bade farewell to the race village and it was time to walk another 2km back to the car before going back home to the kids.